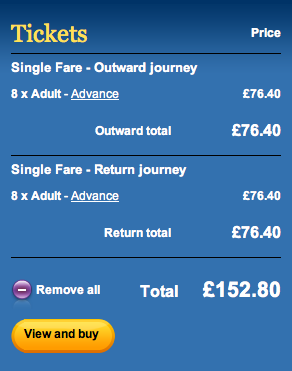 Now, as everyone knows there are various ways of getting to London… the best I feel will be by coach. 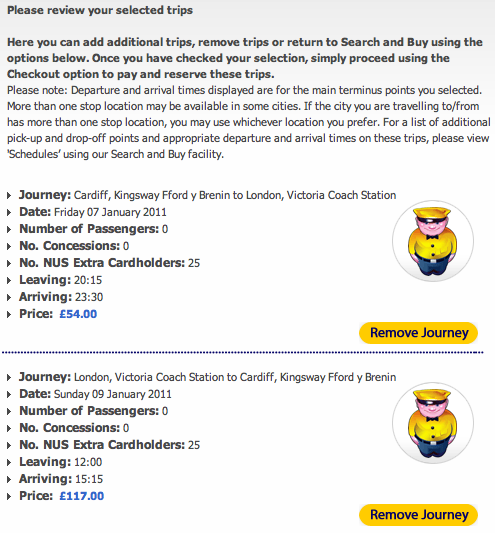 Megabus or National Express would be our best bets, as they are the cheapest. There is the Train, which will be a little more expensive. Judging from this, I feel that the Megabus would be the best and cheapest way to travel, as they accept NUS cards – so I suggest that if you haven’t got a NUS card, you get one now!